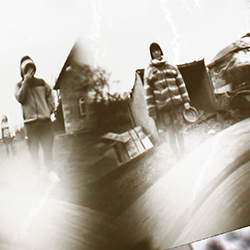 Participants celebrated World Pinhole Camera Day in inventive fashion, collaborating with James Smith to make an experimental pinhole 360° camera. 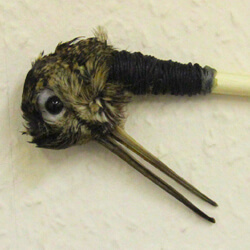 Alternative Approaches to Taxidermy was a participatory workshop led by David Blyth as part of our 2018 Wild Sharing series of events, using the Eurasian Woodcock as a way to formulate questions about the world. 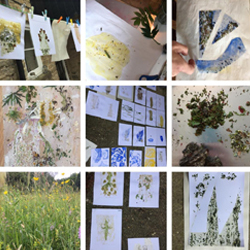 The Fruits of the Forest workshop, led by artist and printmaker Claire Morris-Wright, focussed on foraging, mixing and processing the fruits and foliage available in Fermyn Woods as unique natural pestos and inks with which to create experimental prints. 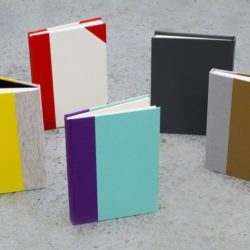 The first of our Wild Sharing series of events was a handmade book binding workshop led by book artist and printmaker Lina Avramidou.